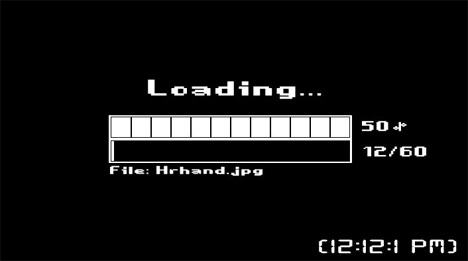 Waiting for a progress bar to reach its completed state is not an activity that could be described as fun for most people. There is, however, a certain satisfaction that comes from seeing the bar totally filled in and reading the “100% Complete” below it. This watch concept from Tokyo Flash would take away that tiny bit of satisfaction in favor of a fun, funny retro aesthetic. 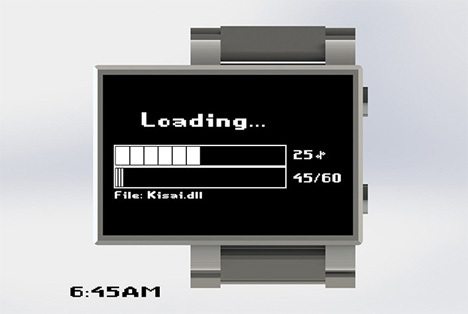 The Loading… watch is a concept proposed by a user of Tokyo Flash’s forums. 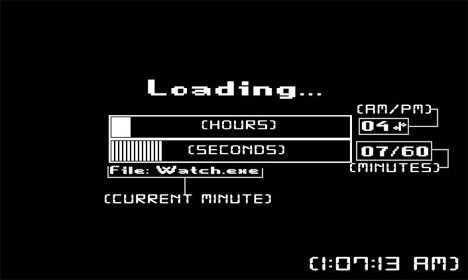 Its appearance is based on those truly maddening progress bars that we see on everything from streaming videos to slow-loading video games. Unlike those other bars, however, this one never actually reaches 100% complete. The top progress bar represents the hours. It is divided into 12 segments, each representing an hour on the 12-hour clock. To the right of this bar is a percentage; numbers 1-50 mean the time is AM and numbers 51-99 mean the time is PM. The second bar is below, with tiny lines representing the seconds. To the right of the seconds bar, the minutes are shown as a number out of 60. 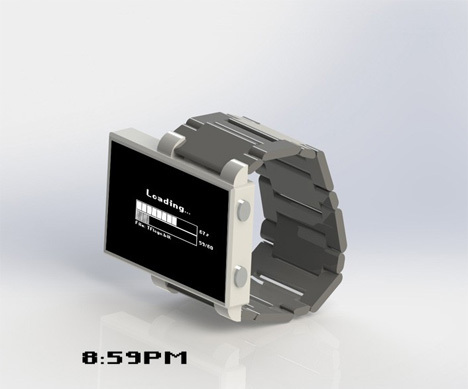 The metal strap and boxy body would make Loading… a perfect watch for anyone who loves video games. Although it is only a concept right now, Tokyo Flash is a crowd-based company that often takes its design cues from the concepts posted on its forums. See more in Clocks & Watches or under Gadgets. January, 2013.